A friend and his partners recently received the first of three patents after more than three years. Maybe in the next 12 months they’ll get the other two. It’s a great concept and I’d tell you more but then I’d have to …. Patents are vital to keep innovation and competition moving forward. If you didn’t have some protection – personal and/or company – why pour all the brainpower, time, effort, money into an idea just to have someone rip you off? When companies get strapped for money, they often sell their patents to other companies. Kodak sold about thousand of their patents to a pool formed by Google, Facebook, Samsung and Apple for $527M. Oh, also in on the deal were Intellectual Venturs and RPX (remember these names). Patents have always been used and abused as protection and clubs. But things went wild when folks started getting software patents in the early ‘60s. In the late ‘90s things took off. Folks were getting patents for any concept or “what if” idea they could articulate in the filing – usually so broad you could drive a semi through sideways. Obviously, the Patent and Trademark Office (PTO) didn’t have a clue about software (few normal people do!) so they signed off on almost anything. While Al Gore said, “I took the initiative in creating the Internet,” he didn’t claim (as is widely asserted) he invented it and he didn’t try to patent it. Eolas took millions from companies with the patent that was later invalidated. Patents like that never should have been filed or granted because of prior art (evidence the key concepts were widely known before folks even filed). The flow of vague patents created a new and very profitable ying/yang industry – patent licensing firms and patent assertion entities (PAEs). 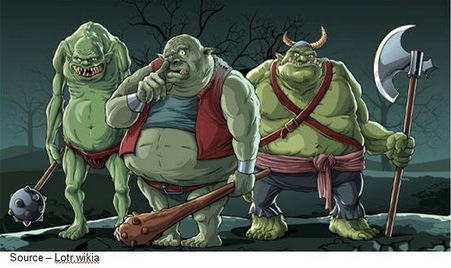 The latter are more commonly known by their less attractive name, patent trolls. Trolling – People who manage patents or have purchased tons of software patents may not necessarily be Patent Assertion Entities (PAEs) or more commonly known as patent trolls. However, if they spend most of their time sending out threat letters, being abusive on the phone (especially with a Texas drawl) then look out. According to Eugene R. Quinn Jr., patent attorney with Zeis Widerman & Malek and founder of IPWatchdog, the best business to be in is being a patent troll. The number of suit have doubled in recent years to 4,73l cases in 2012 from 2,304 in 2009 and the cost – to the firms and consumers who must ultimately pay the costs – has been tremendous. Filing Growth – While even PAE lawsuits were down during the past recession, they recovered rapidly–faster than the national economy. But instead of quietly settling, a growing number of firms are joining forces to fight the frivolous suits. The annual payouts for PAE lawsuits were estimated to be $29B in 2011. Only a fraction ($6B) went to the actual inventors. Well yeah!! Lawyers and troll expenses including overhead, marketing, profits. Most of the time, trolls go after small- to medium-size businesses like in 2011, when a troll firm targeted coffee shops for setting up Wi-Fi networks for customers, “suggesting” they pay a licensing fee of $5-$20,000 (far less than going to court). Hey, you’re guilty until you prove yourself innocent!! Big Targets – PAEs with questionable software patents aren’t afraid of taking on industry giants, especially when the patents are so ambiguous as to possibly have a touch of validity. In addition, if their claims are “small” enough — $10,000 to $50,000, many organizations justify the payments as being less than the cost of a long trial with judges and juries ill-equipped to address the issues. Of course, they are equal opportunity suers, litigators. 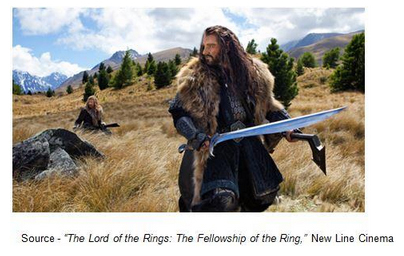 After all, trolls can't be sued for patent infringement because they don't make anything … just lawsuits. The PAEs usually have a complex shell company structure that is almost impossible to penetrate so it’s hard to figure out who’s doing what and where the money goes. Apple is not only more popular than Coke, they (and unfortunately, their partners) are also popular with the trolls. IPNav, for example – an ultra active PAE, has sued more than 1,600 companies in the United States. “Aggressive” – Some of the most aggressive PAEs are firms that if you’re fortunate you’ve never heard of – and we hope you never do. The software patents issued in the early ‘90s were so vague that they could cover web sites, the Internet and almost anything. The key for successful litigation is to find a friendly or unscrupulous judge and sue away. The overachiever has lawsuits pending with almost everyone in the industry including, Google, Hitachi and Adobe. Or take lowly little Lodsys that bought a patent in 2011 and went after iPhone app developers. Lodsys has sued about 200 end-users as well as developers and claims 500 firms have paid for its vague patents. And Lodsys has a sweet deal down there in Marshall, Tx. They can’t get US District Judge Leonard Davis since his son “Bo” Davis is Lodsys’ lawyer so the cases get redirected to the other Judge in the East Texas town … Gilstrap. Those Californicator lawyers aren’t gonna’ slip anything past this boy!!! Today, the Patent Office does a much better job of insisting software-patent applicants be specific. However, between 500,000 and a million software patents have been granted – some valid, some questionable. The legal system incentivizes firms to pay the trolls to go away rather than prove the patents invalid. Increasingly though, firms like Rackspace, Martha Stewart, Apple, many more (large and small) are returning fire. The FTC (Federal Trade Commission) is taking a closer look at PAEs that spend most of their time in court, i.e., if they accounted for more than 60 percent of the 4,000 patent lawsuits filed in last year. Highly successful patent trolls, Intellectual Ventures, insists their business model actually helps inventors and many of their clients who have received payments agree. Adam Mossoff, law professor at George Mason University, says the PAEs are licensing firms practicing their property rights and their purpose isn’t to file lawsuits but license patents. But even if someone can straighten out the U.S. patent system, there are new issues on the horizon because The EU is working on a unified patent court system. Firms like Google, Apple, Microsoft and hordes of others that have spent millions defending themselves, have nightmares that Europe could become a similar battleground. Thanks to Gilstrap; Marshal, Tx is known worldwide!!!! 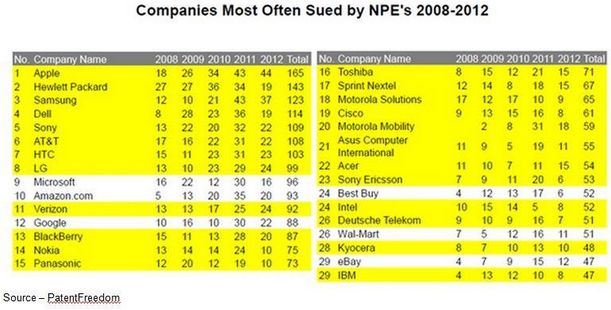 Of course, there’s the other extreme that want to put an end to software patents. That’s tough to do because software, good software, does so much for us that the innovation and developer have to be protected/compensated. With software there’s black, white and a thousand shades of grey. If you get slapped with a suit – any large/small firm can – experts say to fight back, get support from others that have been targeted. Oh yeah…stay outta’ Marshall, Texas!